The new frontier of visual analytics is prescriptive analytics, designed to present and explain recommendations and guide user actions. We will discuss an example of such interface, using the scenario of students mapping their academic plans. We explored the challenge of finding similar students, explore potential outcomes, review recommended temporal sequences of events that might help achieve users’ goals, and interactively assist them as they define a personalized action plan. Other usage scenarios include medical treatment formulating, customer retention, or sports coaching. I will demonstrate EventAction and present early evaluation activities, then together we can discuss the value of opening the blackbox of recommendation systems. 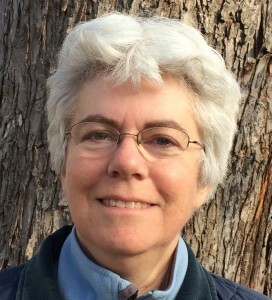 Catherine Plaisant is a Senior Research Scientist at the University of Maryland Institute for Advanced Computer Studies and Associate Director of Research of the Human-Computer Interaction Lab. Catherine Plaisant has over 200 published papers, on subjects as diverse as information visualization, medical informatics, universal access, decision making, digital humanities or technology for families. Her work spans the interface development lifecycle, with contributions to requirements gathering, interface design, and evaluation. In 2015 she was elected to the ACM SIGCHI Academy. With long term collaborator Ben Shneiderman she co-authored the 4th, 5th and 6th Editions of Designing the User Interface, one of the major books on Human-Computer Interaction.